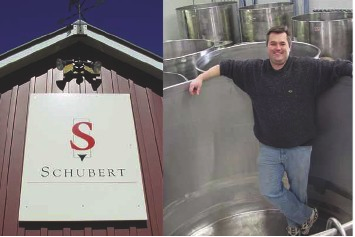 Founded by Kai Schubert, a graduate from the German Viticulture and Oenology University in Geisenheim, is Schubert Wines in Martinborough. Kai’s dream had always been to establish his own vineyard and winery one-day. Kai and his partner, Marion Deimling, looked high and low to find the perfect location to cultivate Pinot Noir, including Australia, the States and France. 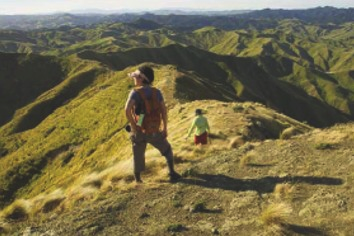 It was the Wairarapa region of New Zealand that caught their attention, though. In 1998 they purchased a small established vineyard in Martinborough and around 40 hectares of bare land at Dakins Road. 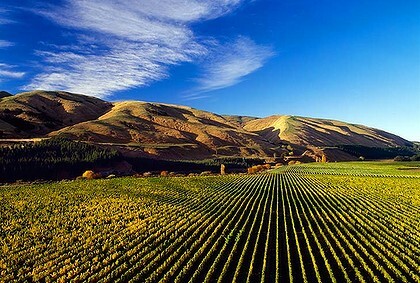 The vineyard in Martinborough is planted with various clones of Pinot Noir, Syrah, Merlot, Chardonnay and Müller-Thurgau, while the previously bare land at Dakins Road now has around 12 acres under vines, 90% of which is with red varieties, including eight varieties of Pinot Noir, some of which have the newer Dijon clones. There are small areas of Syrah, Cabernet Sauvignon and Merlot and the white varieties are represented by Pinot Gris, Chardonnay and Sauvignon Blanc. Kai’s emphasis is on maintaining quality. All fruit is carefully hand picked and collected in small perforated baskets. The baskets are then transported to the winery at Greytown where the vinification process begins. Kai and Marion’s first vintage was the 2001 Pinot Noir, released in early 2003. Today, their fourth vintage offers Marion’s Vineyard Pinot Noir, consisting predominantly of Able and Pommard clones, and a Schubert Pinot Noir, consisting primarily of Dijon clones. At the time of my visit, their current wines included a 2009 Rosé, 2009 Sauvignon Blanc, 2009 Triblanco, 2008 Pinot Noir “Marion’s Vineyard”, 2008 Pinot Noir “Block B”, 2006 Cabernet Merlot, 2007 Syrah and a 2008 Dolce. Over and above this, there’s an entire range of older vintages that date back to 2002.? ?One of my personal favourites was the 2008 Pinot Noir “Marion’s Vineyard” which was almost liqueur-like in richness. The subtly spicy finish married beautifully with a raspberry and boysenberry nose and cherry pallet. Kai is one of the few remaining who still chooses to cork his wines rather than option for the new screw caps, and he insists on only the best quality cork at that. When asked why, he shrugs and simply says that he’s still not convinced as to how well the screw caps will enable the wine to be aged over a long period. Furthermore, the cost of purchasing a screw cap machine isn’t warranted with his limited production. Whatever they’re doing at Schubert Wines, they must be doing it well. This year alone they’ve collared Gold at the International Wine Challenge in London, and Gold at Decanter World Wine Awards. Schubert Wines are distributed through a vast offshore network, and are available in New Zealand directly from the source.